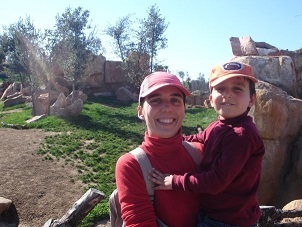 If you are planning to visit Valencia this year with the children, I am sure you want to go to the beach and enjoy as much as you can the sunshine but… in Valencia there are also some other very good alternatives to keep the children entertained and happy, and one of my family’s favorite ones is the “BIOPARC”. 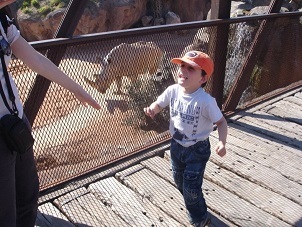 We went with our son when he was little, at that time we still lived in Valencia and he loved every minute of that day. The Winter and the Spring are the best seasons from my point of view to visit it because during the summer is quite hot but, truly…. anytime is a good time. It would be a good practice for the children to learn the name of the animals and follow the map around the find them all: El rinoceronte, el elefante, el león…. And the blue sky is always there!